Everyone starts off the New Year with promises that they try to keep. I like everyone else, make “false” promises that I will work out, eat healthier, save money and my ultimate favorite is try to stop cursing. Haven’t we all wrote and heard the same song? By the time I am settled into the New Year, which could be about three weeks, all my resolutions go flying out of the window. I fall back into my routine like I had never promised myself I would do these things. Therefore, this year 2013, I would like to do something a bit different. Instead of putting myself on punishment, I want to challenge myself with achieving realistic goals. Set some goals/challenges that are going to enhance myself as a person, friend, sibling, daughter and parent. I will work on getting a better handle on my personal goals. Accomplish them one at a time. Work on my patience with everything and everyone! This will be my most challenging one! Make time to reach out to family members. Try to be more optimistic. I am sure I will have some hiccups along the way of getting them done, but I am gung ho about my 2013 challenges. 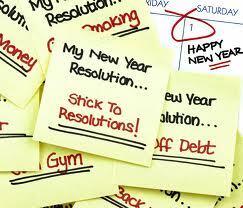 Share some of your goals/challenges for this New Year with me. Thanks ~YY! It will be a challenge but I got this!